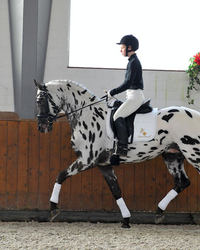 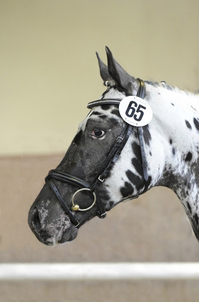 What began so famously in Denmark around 1540 under Frederik II, when the Royal Stud Fredriksborg was founded for breeding the spotted royal horses, has ended in perfection in Sartors Showtime. 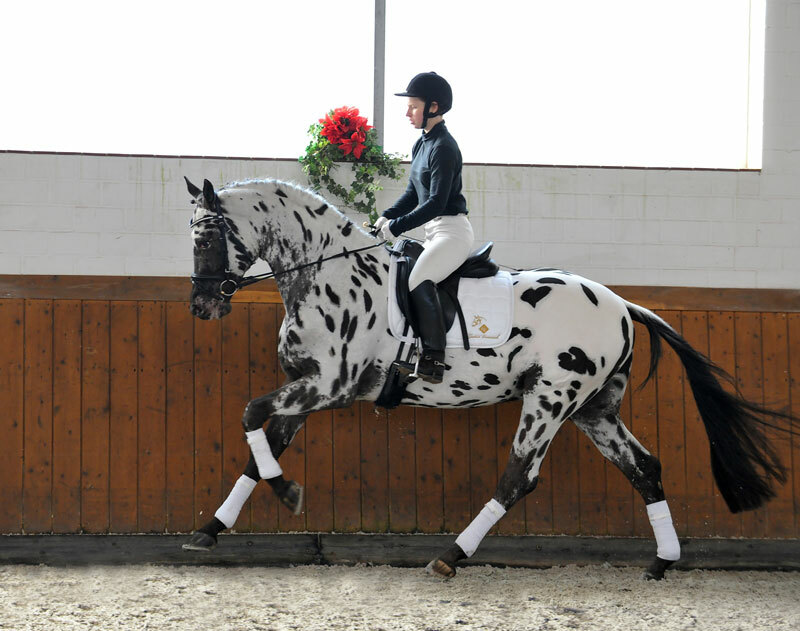 A modern Knabstrupper who couldn't be more beautifully "painted". 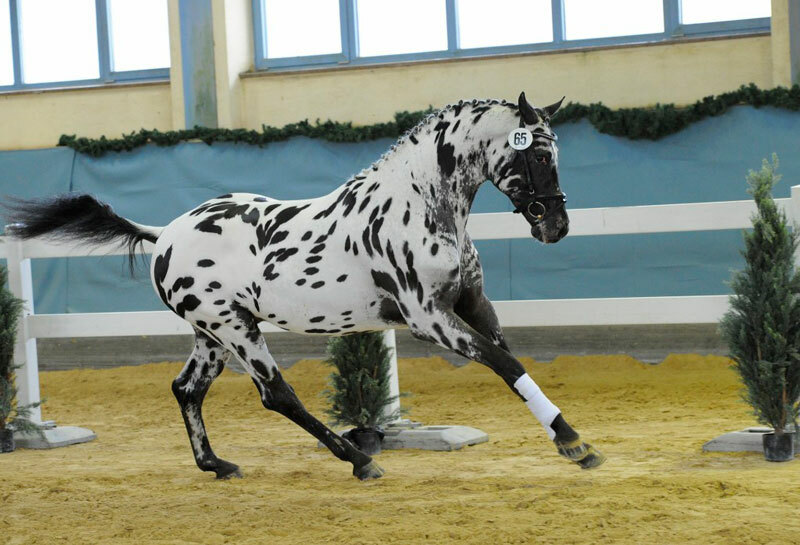 This breed, which was highly coveted by the ruling families throughout Europe, is legendary for its trainability, its willingness to be collected and its stamina. 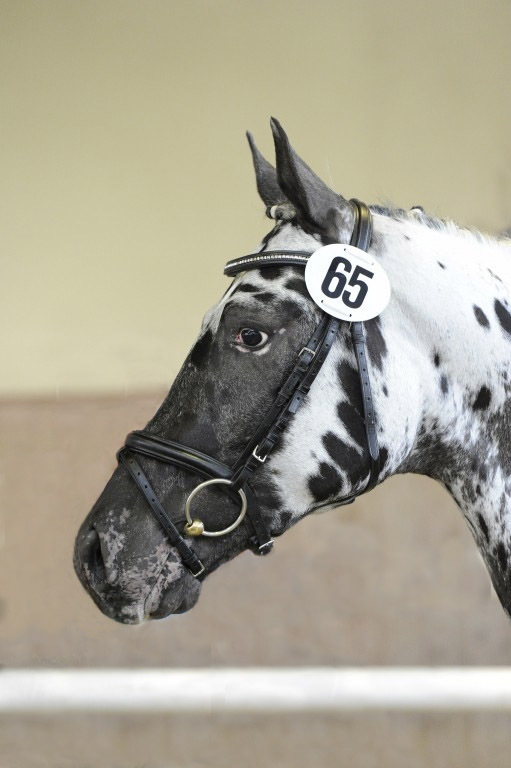 When he was licensed for Knabstrupper in 2010 in the section of the Stud Book for special horse breeds in Kreuth, this spotted gentleman wrapped the judges around his finger with his persuasive type, charm and movement quality. 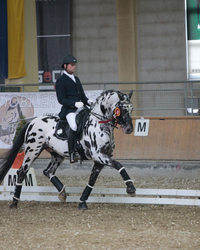 The spectators' darling, he also proved his ability and farsightedness at the jump. 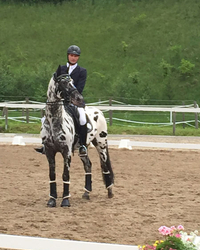 Sartors Showtime has meanwhile won tests for young dressage horses. 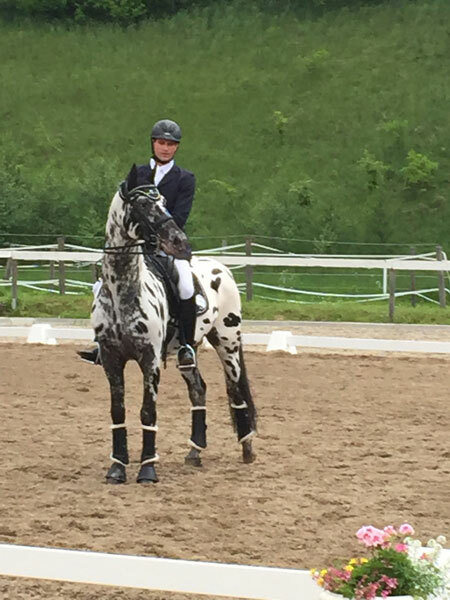 Sartors Showtime won with Stefan Lehfellner LM tests, after he had previously placed in riding and dressage horses classes. 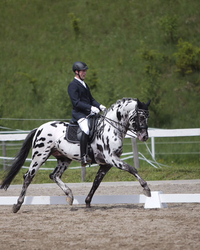 His sire, Sir Donnerhall I, started his career in 2003 as the 2nd Reserve Champion of the Oldenburg licensing. 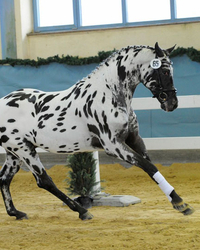 In 2005 he won his stallion performance test in Adelheidsdorf with a record index of 151.57. 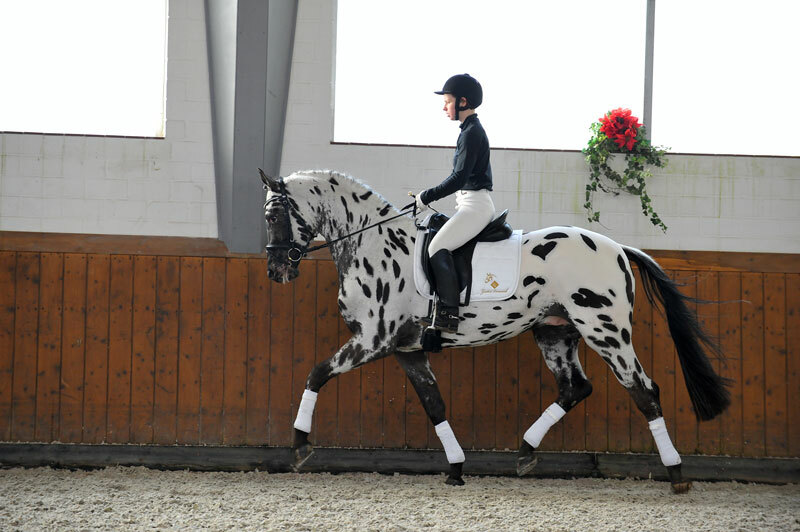 In 2006 he took silver at the World Championships and gold at the Bundeschampionat in the class for five-year old dressage horses. 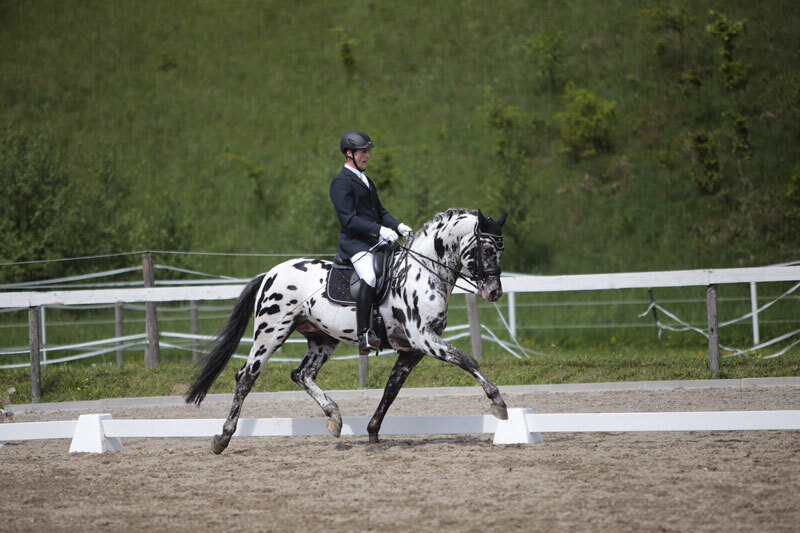 More than 90 of Sir Donnerhall I's sons were licensed. 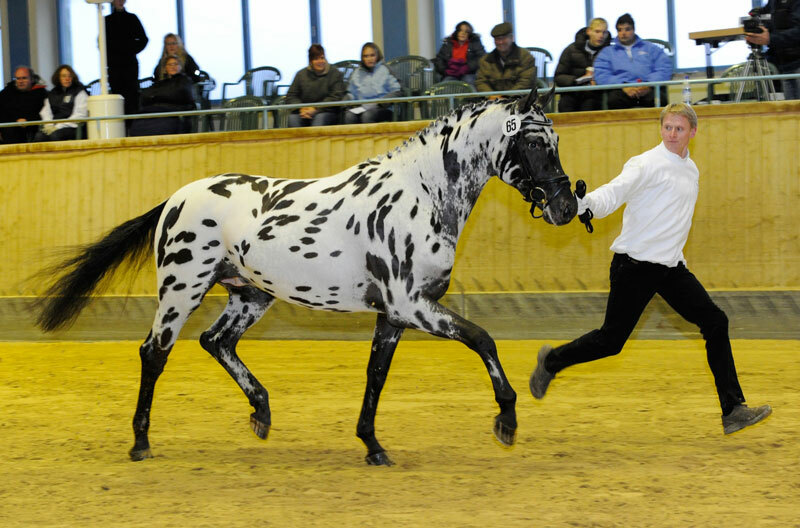 His dam Monica is one of the highly valued original Knabstruppers that are born white and so precious in Knabstrupper breeding. 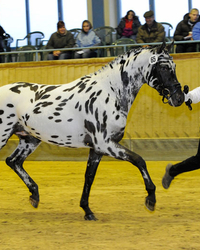 The dam's sire, Rasmus af Hallundbaek KNN 119, did an excellent job at his performance test and sired six licensed sons: three of them are in Denmark, including Figaro af Hallundbaek KNN 147, two in Germany and one in Great Britain. 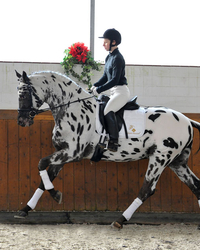 His stallion line can be followed back all the way to 1683 and a stallion named Superbe.